Ground cover plants play a pivotal role in your landscaping; not only do they prevent erosion of the soil, and soften the hardscaped parts of your garden, they are also very beautiful. A flowering groundcover will attract bees and butterflies, to feast on the pollen and nectar. Ground covers that are also perennial add value to your garden in many ways; you won't need to replant these every year, and each season they get more established. If they outgrow their space, just pull a few out to put in other areas, or start your own backyard nursery. Some of my all time favorite flowers for bees and butterflies are Sedum, that old standby in the cottage garden. Also called Stonecrop, this wide and diverse genus contains some of the nicest and toughest little low growing perennials for a low maintenance garden. Sedum spurium varieties, such as S. s. 'Dragons Blood', 'Fuldaglut' and 'Voodoo' - all lovely dark burgundy in color even out of bloom, and then topped with brilliant pink star shaped flowers through July and August. 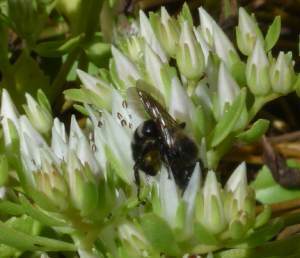 Some of the other Sedum spurium types have white or pink flowers, like S. s. album 'Superbum', seen here with a wild bee. Sedum is a great fast growing ground cover, as well as a plant for bees. 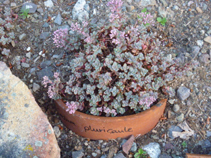 Sedum pluricaule, S. niveum, S. sexangulare and S. reflexum 'Angelina' are all robust in growth but never aggressive. They all form a compact, low growing clump to plant in groups or a tapestry of many kinds together, or combine perfectly in a mixed container. 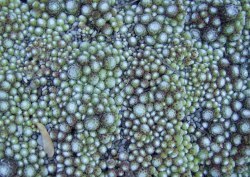 See this page for some more of my favorite Sedum for groundcovers. Other low growing perennials that make perfect ground cover plants are some of my favorite little Sempervivum, the hens and chickens. The cobwebs or arachnoideum are so small and compact, and tend to make a tightly clustered colony. They're grown mostly for their great texture, and ever changing colors. As one of the most easy to grow perennial plants, you can't go wrong with these little guys. Don't ignore the larger forms of Sempervivum, from a wide array of genera such as tectorum and others. These are so diverse in color and texture and growth habit, but many will form a great ground cover by the way they produce chicks at the end of stolons. 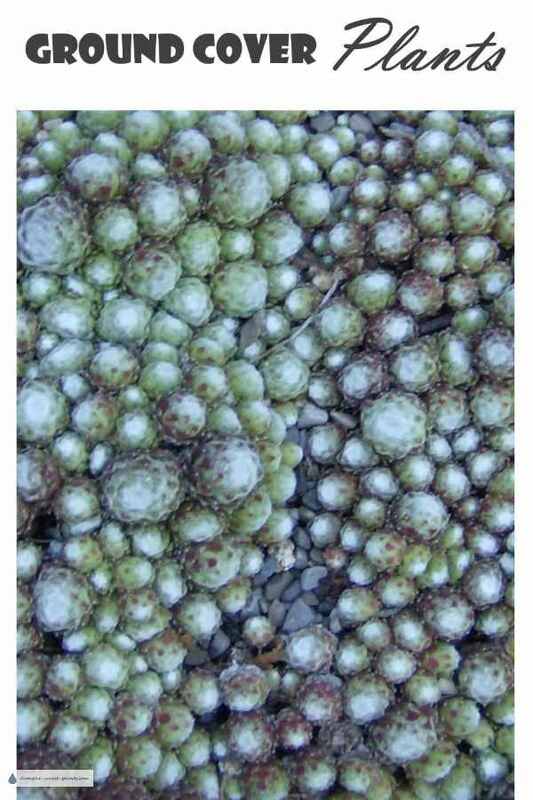 In time, they can make a large colony; these are sun loving plants and prefer droughty, well drained soil. 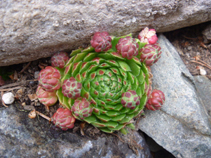 Have a look at the Sempervivum Picture Gallery to get an idea of how many different kinds there are. Similar to the Sempervivum, Jovibarba are a much neglected genus, and one which deserves wider use. These look similar, and in fact they are closely related. Succulent low growing perennials like these are a mainstay in my xeric garden. I have become quite attached to these plants for in the rock garden, succulent crafts such as topiary, and for mass planting as ground covers. These are just a few of the best low growing ground covers. Thyme is renowned as a lawn substitute, and there are many other drought tolerant plants that make excellent groundcovers. 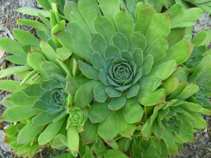 See this page for more recommended groundcovers for xeriscaping - choose wisely, don't make the same mistakes that I have.